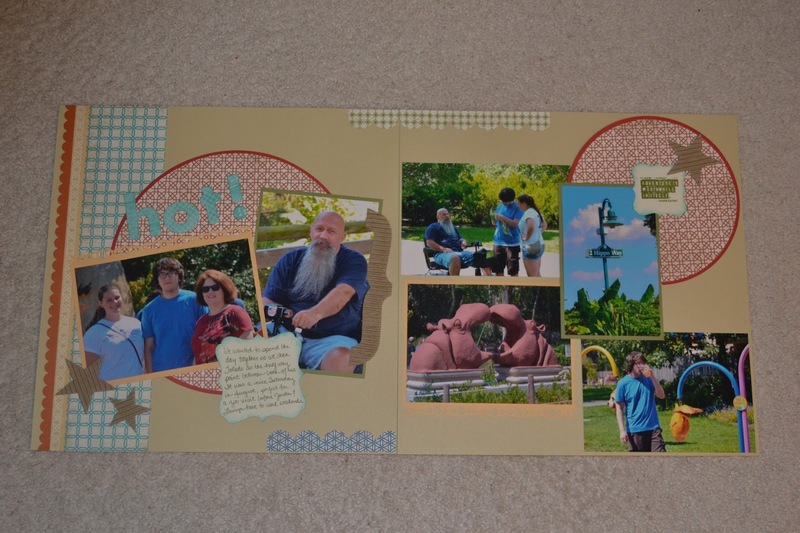 A few weeks ago we met my DS & GF at the Toledo Zoo. 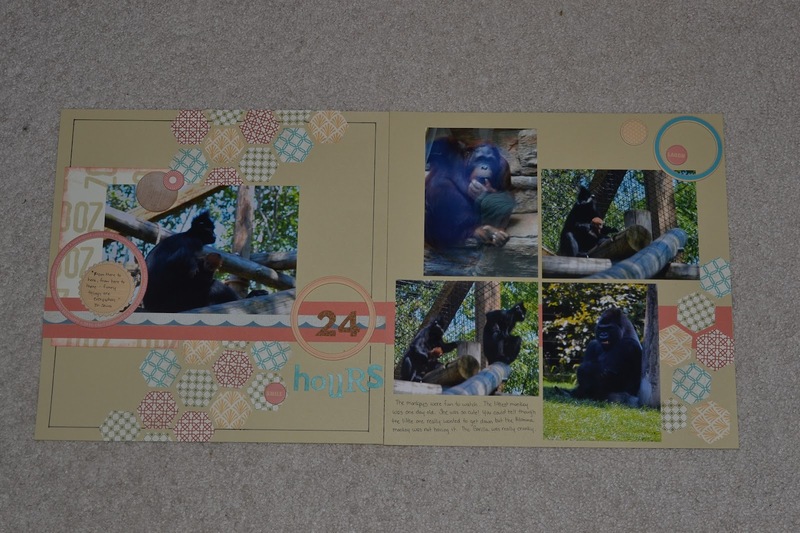 One of the fun sites that day was the monkies because they had a baby monkey that was 1 day old - 24 hours. She was SO cute! The Momma monkey was holding her very tight and the baby monkey was doing all she could to get free to explore on her own. My layout this week is from 2 sketches - page 1 is for the SYAO#34 Sketch over at Paper Secrets. The 2nd page is inspired from Friends-that-Scrap September Sketch. 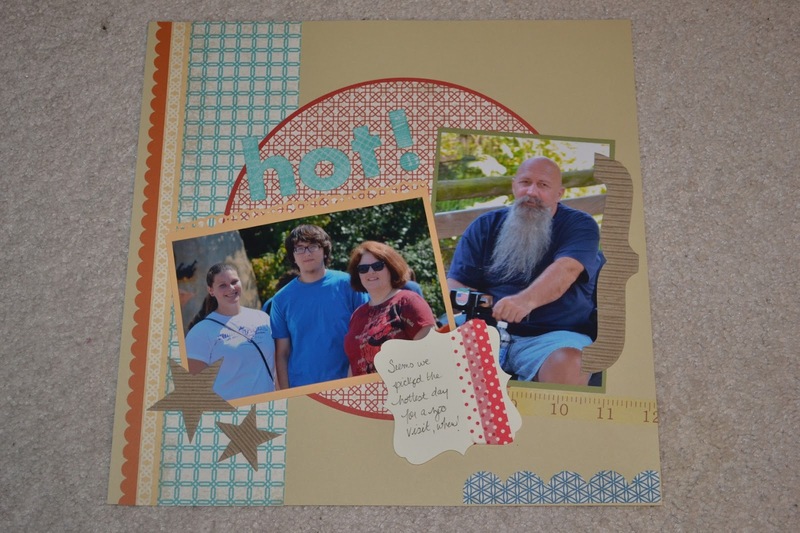 I really had fun using the hexagons. Boo! It's time for another Fun Halloween Card. 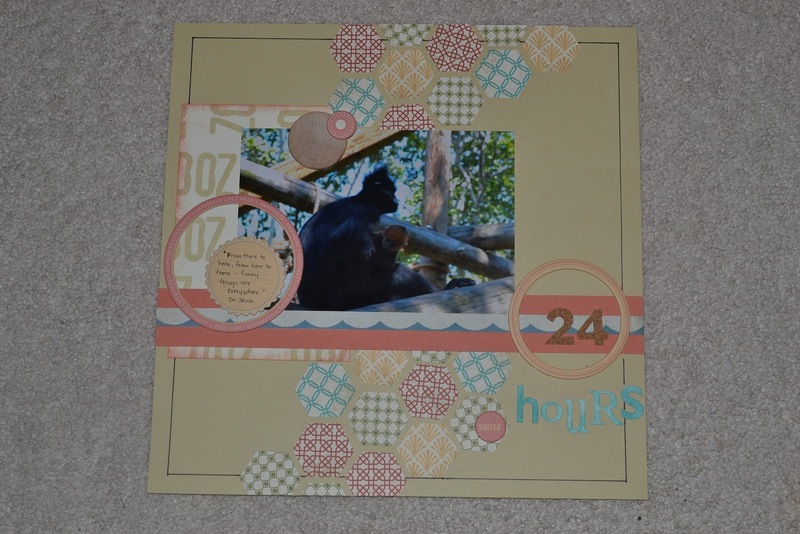 I really like this year's "fall" CTMH papers, Moonlight! Lots of fun choices. 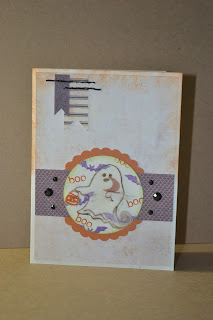 I've used lots for cards and I have a few pieces left for my pumpkin carving layout. This year it will be different because it's just me but maybe Bella (my puppy) will help me out? LOL! 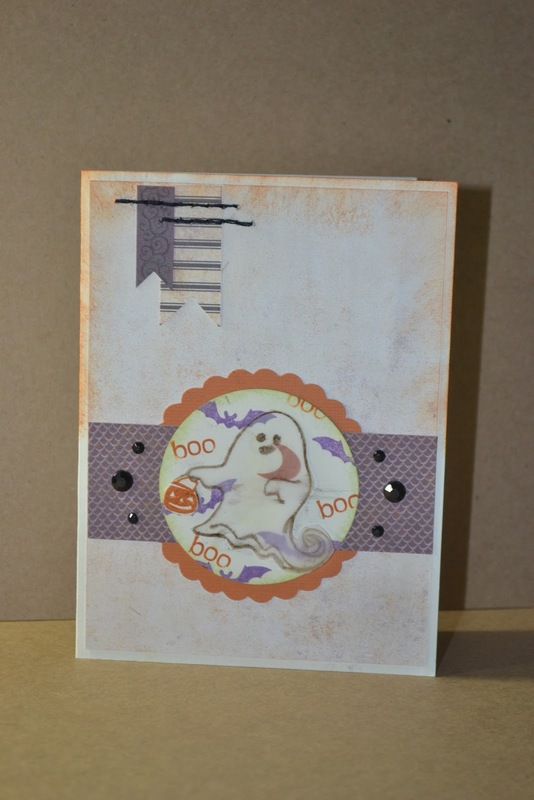 I wanted to add the ghost from this years Halloween stamps Creepy Creatures but it seemed more fitting for him to be stamped on vellum. I stitched the top (I know, right?!) 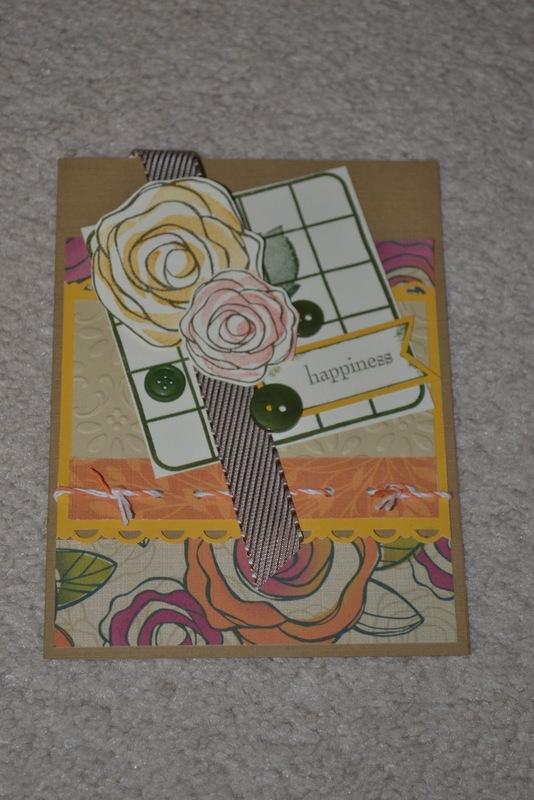 but that idea came from a layout idea I did Friday and it looks just as cute on the card. This sketch is this month's CPS #282. Ok, I admit...I still have some of last year's CTMH Halloween Paper left. 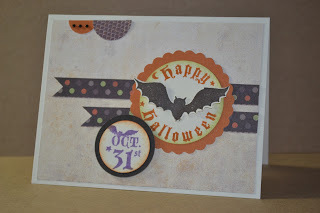 I just loved the colors though so I bought not only the paper pack but a pack in bulk and it's been very fun to scrap with for other "non Halloween" pages. 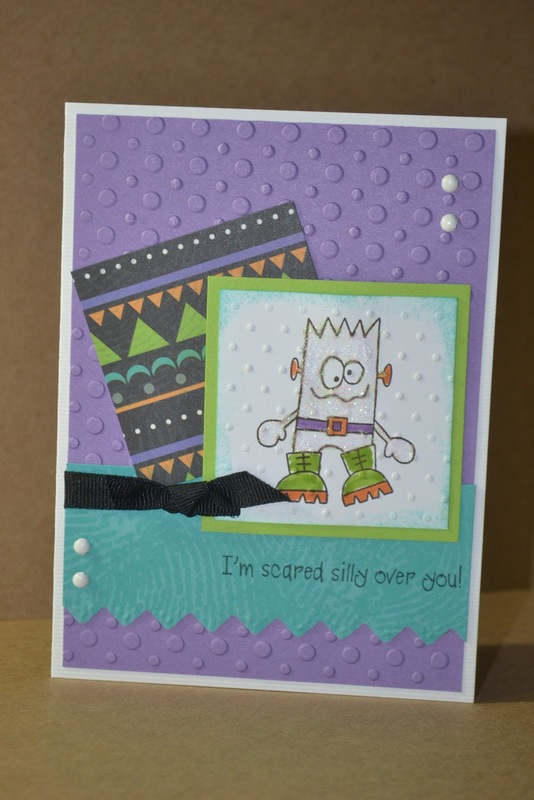 Since I had some left, I wanted to get it out as I thought it went great with these Spook Alley Stamps. 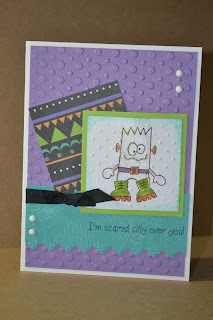 Always very fun to get out a cute monster stamp. This week is Freshly Made Sketches 1 Year Anniversary Celebration so the challenge was to choose any sketch from the past. I had several faves but I decided to start with #1 ... the one that started it all. Happy Anniversary to FMS! Enjoy! Oh my! Today I realized we are half way through September already! 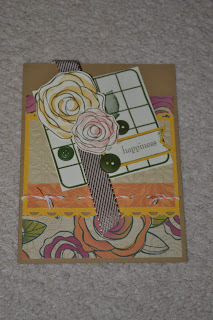 I don't know what I was thinking but I haven't got out my fave Fall stamps and papers yet? If I don't hurry up, the white stuff is going to be flying and it will be time to stamp some Winter faves. I love all the oranges, yellows and greens for this time of year. I wanted to highlight all of my Halloween stamps in October but realized that's hard to do if I'm using current sketches so here's my first one for this year. It's the Mojo Monday #258 sketch for this week and it's another darling sketch. I always have best intentions to go back and use my favorites but then a new week comes and they come out with another that's just as cute. Those ladies are amazing and awesome to share all of that talent week after week ... Love It! Enjoy! We were supposed to go out for a drive today but it was chilly and started to rain so it was a good day for some scrappin'. 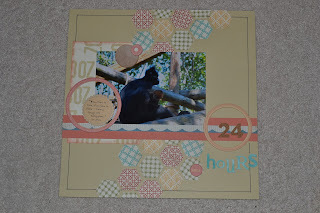 I finished this weeks Paper Secrets SYAO32. Since it's week 32 the requirements lists are getting crazier. All for scrappin' fun! Happy Saturday! 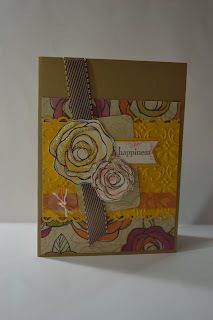 Here's my Paper Secrets CYAO31 Challenge card and version of Mojo Monday #257. I'm going to update the card for my Mojo Monday entry as I don't like the twine but the requirements for the Paper Secrets card you had to "hand stitch" and that's about my limit for stitching. When I started the challenge these were fun but they're now down to just a few items to choose from for the challenge list and they're getting more strange. It's disappointing for me because I was using these for my weekly cards to mail and it's not working so well in later rounds. I just hate to quit now that we're 31 weeks into the challenge? Well, here it is for another round.